The 15.6” EUROCOM Sky X4 high performance, fully upgradeable laptop sports Killer E2400 high-performance Gigabit Ethernet Controller, Skylake Intel Core i7-6700K Extreme Processor, NVIDIA GeForce GTX 980M, 15.6”4K display and up to 64GB of DDR4 memory. Eurocom laptops will last because customers can configure the most capable mobile components and desktop processors into their laptops. 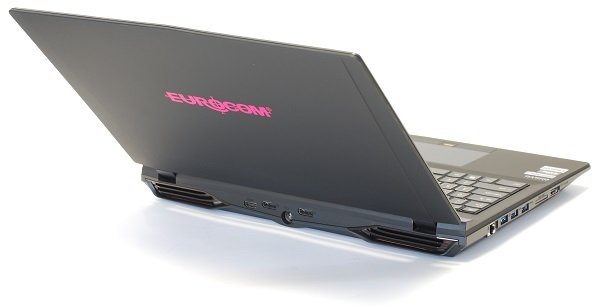 Eurocom laptops will be around long after the current fashion trends and blinking keyboard lights are out of style. Now, customers can add the Killer E2400 high-performance Gigabit Ethernet Controller to the EUROCOM Sky X4 high performance laptop with desktop Intel Core i7 6700K processor. Utilizing the Intel® Z170 Chipset the EUROCOM Sky X4 will be socket based to allow for CPU upgradeability, with the ability to support DDR4 2133 memory for added performance and capability. The EUROCOM X4 are the newest in a very long line of high performance laptops with support for socket based, desktop Intel processors. Support for DDR4 memory will improve the EUROCOM Sky X4 power consumption and data transfer speeds, thanks to the new bus. DDR4 uses 20 percent less power while supporting a new, power down model for super low power consumption. The EUROCOM Sky X4 will benefit with a slight boost in battery life and enhanced performance. The EUROCOM Sky X4 will be based on a 15.6” chassis and will support 4K displays and have a wealth of high performance technology available for configuration. PCIe 3.0 MXM 3.0b graphics from NVIDIA GeForce and NVIDIA Quadro will be supported for configurable and upgradeable professional and enthusiast level graphics. M.2 storage technology will be enhanced with PCIe 3.0 specifications and RAID support. The EUROCOM Sky X4 will support the enthusiast Intel Core i7-6700K, 91 W processor with improved performance and efficiency. Four cores and 8 threads, thanks to Hyperthreading are supported. Turbo Boost 2.0 technology is also supported. The EUROCOM Sky X4 will be equipped with an overclocking BIOS for full user control over the CPU performance. Integrated graphics Intel HD 530 are included and is DirectX 12 compatible. Maximum Control - By adding the ability to prioritize specific website traffic and by offering 2 additional priority levels (for a total of 6) for your network traffic, Killer™ E2400 gives you the control to customize your experience like never before. Set limits using Visual Bandwidth Control™ or shut them down completely with Application Blocking, so they don’t interfere with your multimedia applications or favorite websites.